Chicago has one of the greatest food scenes in the entire country. We have numerous events that celebrate this fact (including Wing Fest, Taco Fest, Bacon Fest, Lobster Fest, Donut Fest, Rib Fest, Burger Fest, Sausage Fest, Hot Sauce Fest, Oyster Fest, and Hot Dog Fest to name a few). Yet while Chicago may be one of the greatest culinary cities in the United States, it is THE GREATEST pizza city. To celebrate this fact, Old Style’s Pizza Summit was created. The event is a gathering of some of the most iconic and legit pizza establishments that both hold down the pizza scene and push it further. To start, we began calling some of our favorite pizza establishments to invite them to be a part of the inaugural Pizza Summit. We called upon the classics first, which included Gino’s East. 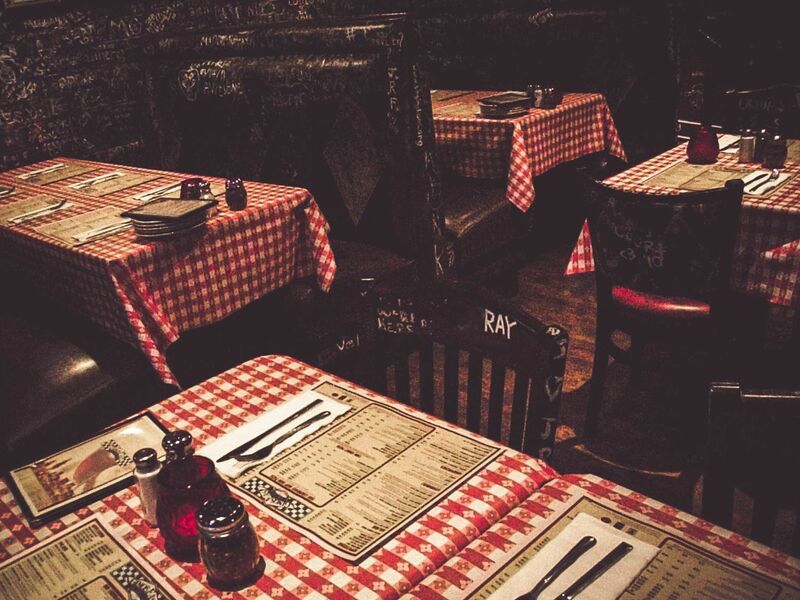 Gino’s East is one of the most iconic pizza establishments in Chicago, with a storied and delicious history. 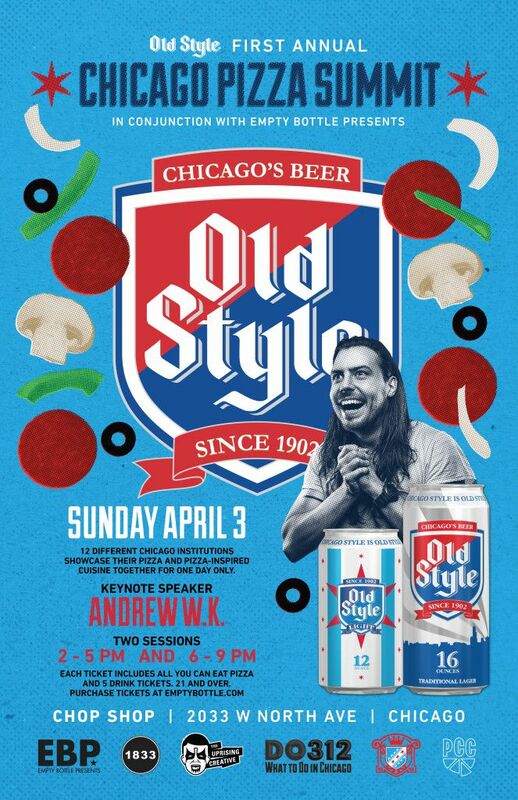 We also asked to the one man who embodies all things pizza and party, Andrew W.K., to give the inaugural keynote address. To round it our we brought our friends Empty Bottle Presents, Pizza Club Chicago, Malort and 1833 into the mix to maximize awesomeness.  Check out Old Style’s Pizza Finder , powered by Pizza Club Chicago and The Uprising Creative, for some choice Chicago pizza establishments which includes Gino’s East. Chicago’s first Pizza Summit is shaping up to be one for the books, and we are excited to have our friends over at Gino’s East join in the festivities!